My friend Aliss, owner of Workshop, is one of the most inspirational women I know – she is my ultimate role model and I’m so proud of her. Just under a year ago, we were stood in the queue for the Ngong Ping 360 cable car in Hong Kong after a day in the company of the Big Buddha. Talking about life and work (I know, we shouldn’t be thinking about work on holiday) Aliss shared with me her dream of opening a sewing cafe. Just a few months later, she took the plunge and left her job as a designer to open her own business. She’s had to work unbelievably hard and make a hell of a lot of sacrifices, but she knew what she wanted and she went for it – what a woman! The result? Workshop. A gorgeous cafe, shop and creative space in the heart of Headingley. Here are some of the reasons why you need to get yourself here as soon as you possibly can. As someone with a serious love for chocolate brownies, I can assure you that these are the best brownies in Leeds. 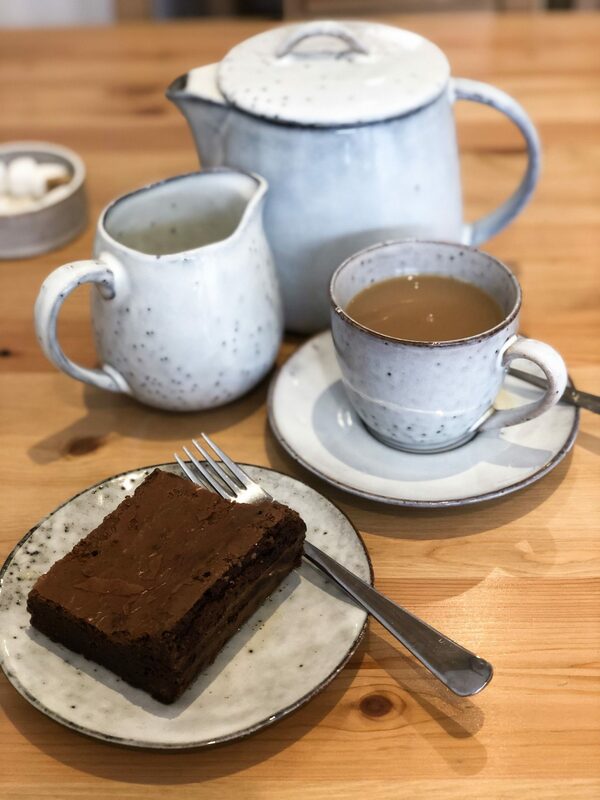 It’s not just the brownies either… I’m not usually into non-chocolate based sweet treats but the carrot and courgette cake is absolutely to die for, as is the lemon drizzle cake. There are so many tea options at Workshop, from Earl Grey Creme to Mojitea to Pandalicious Liquorice. Then there are the cold brews, which include Strawberry Lemonade, Blue Raspberry and Morning Kick, and they’re GLITTERY!! I need to be a bit more adventurous with my tea choices, but I just love a good old Yorkshire tea too much. And the coffee… Aliss makes them so pretty! 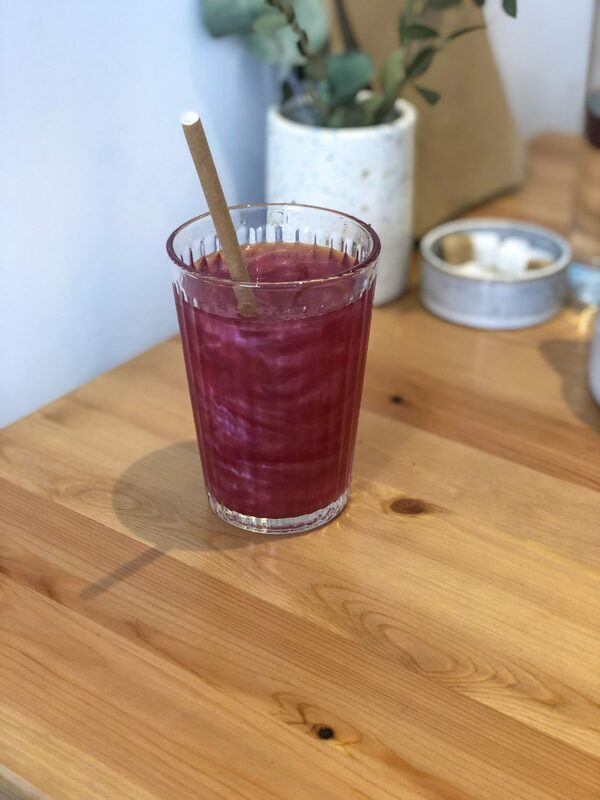 Whether you want a simple flat white or something more unusual like a beetroot latte, every drink is made with love. This is where Workshop comes into it’s own. There are loads of different classes to try such as ‘Overlocking for Beginners – Make a Slouchy Tee’, ‘Beginners Pattern Cutting’, ‘PJ Making’ and ‘Introduction to Dressmaking – Sew Along’. If sewing isn’t your thing, you can try ‘Photography 101’, Macrame Plant Pot Holders Workshop’, ‘Make an Adjustable Ring – Beginner’s Wire Wrapping Class’ or ‘Felt Landscape Workshop’. 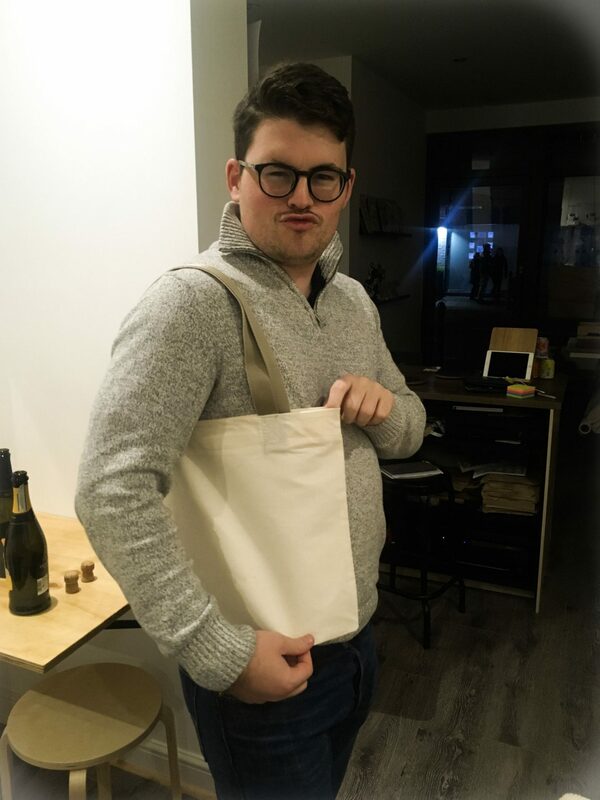 I’ve tried a couple classes so far: ‘Beginners Sewing – Make a Tote Bag’ which Aliss took, and ‘Tie Making Workshop’ which was taught by Molly, a very talented Tailor. 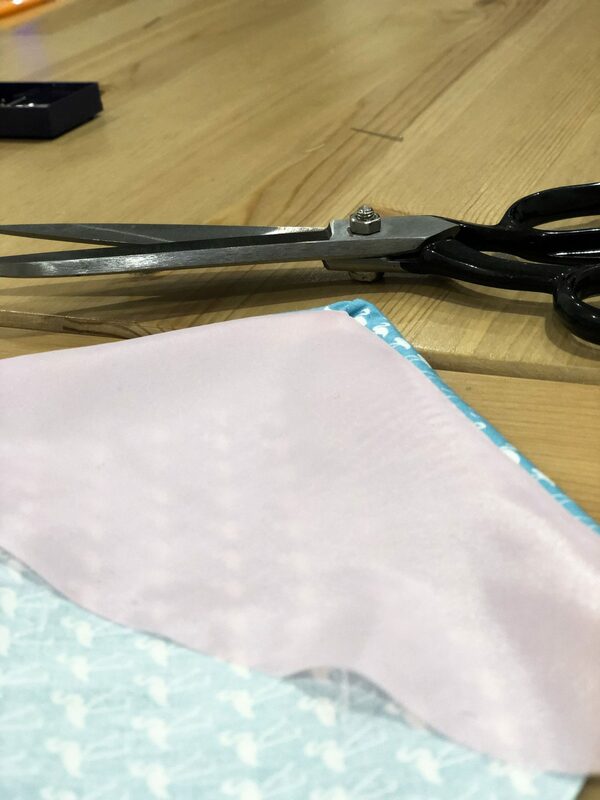 The Tie Making Workshop was also suitable for beginners, and it was great to learn a mix of skills including simple pattern cutting machine sewing and hand stitching. I made a tie for Billy as a surprise birthday present, and completing it was one of my proudest achievements… so satisfying! You don’t have to take part in a class to make the most of Workshop. 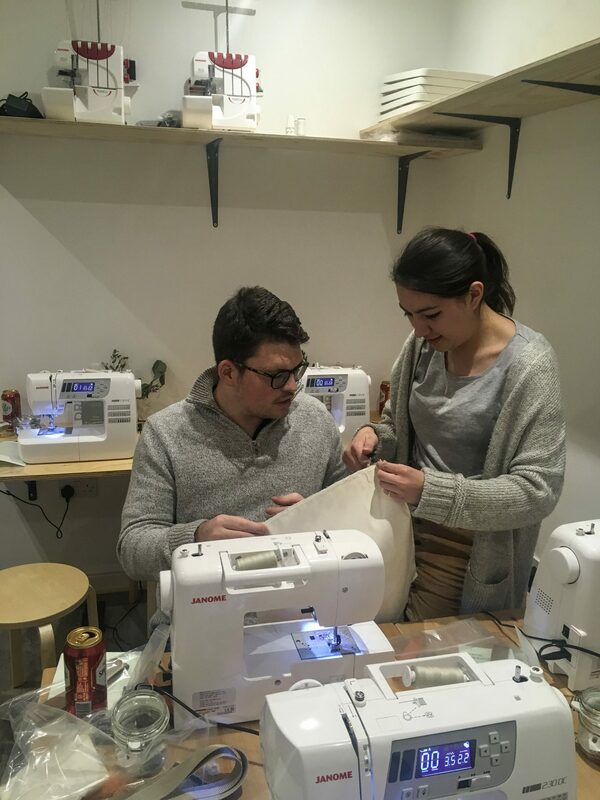 For just £5 an hour, you can hire a sewing machine and spend your afternoon drinking tea and sewing. Even if you can’t sew, I can’t even tell you how therapeutic it is just sitting there concentrating on putting two bits of fabric together. The front of Workshop also serves as a shop where you can buy fabrics as well as gorgeous prints, cards, and gifts. Some of the prints have been created by Aliss (honestly can’t believe how many different talents this girls has), and some have been created by other local, independent artists. The fabrics are used by Aliss for pretty much everything she makes, so they must be good! And that’s not all… unable to resist giving herself even more work, Aliss has also designed a range of beautiful clothing and sells the patterns in the shop as well as online. Most of these are accompanied by sew along classes to teach you how to make them, and Aliss is always happy to answer questions and give you tips when you pop in. 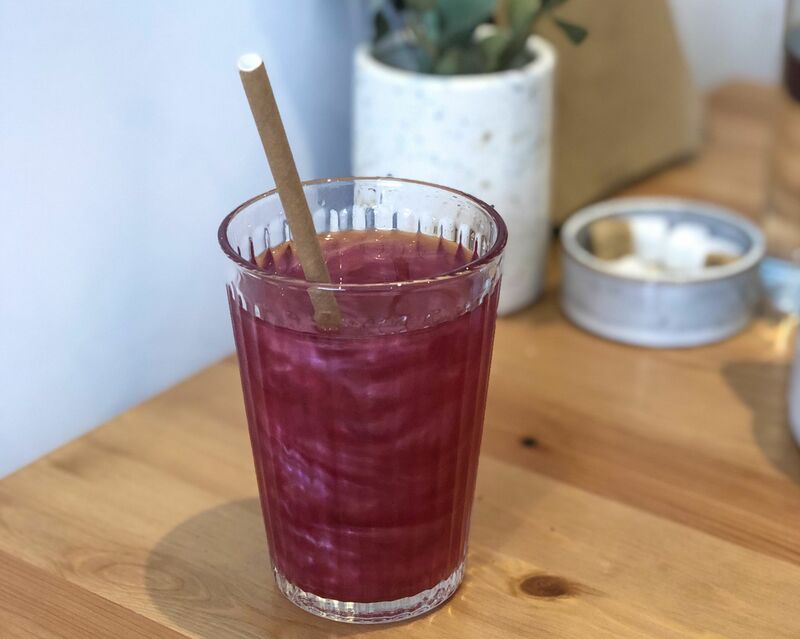 If the above hasn’t convinced you to visit Workshop, go along just to meet Aliss (who is incredible, if you haven’t already gotten that impression from this blog post) and support a local business. You won’t regret it.